Bibliothèque La Part-Dieu, Lyon, France. 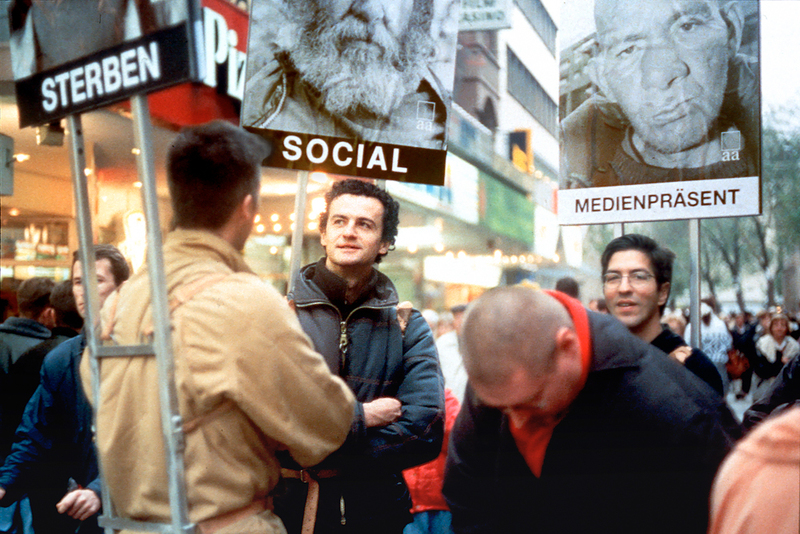 Between 1996 and 1998, the project has been presented in seven different cities (Montréal, Québec, Dortmund, Hamburg, Bourges, New-York, Ivry-sur-Seine), formulated according ephemeral outside appearances (displays, performances) as well as using more permanent devices found in contemporary art institutions. 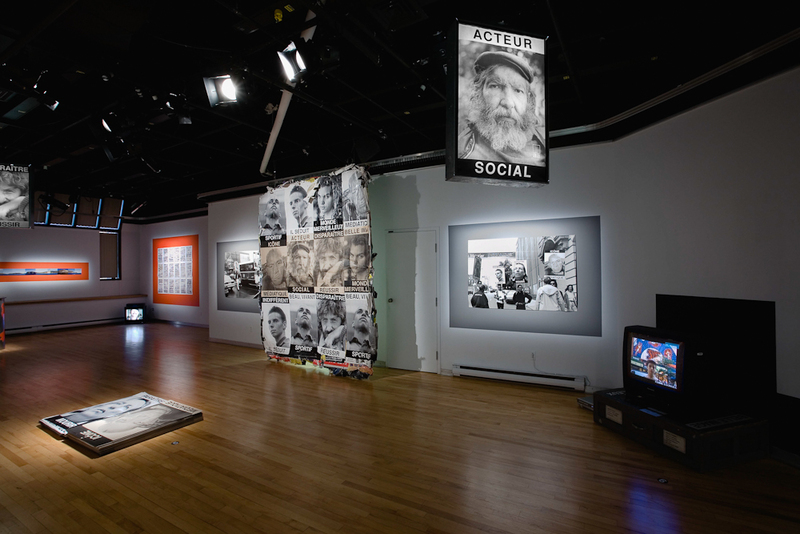 Images et propos mobiles paradoxically publicizes pictures of people who are excluded from society. This exclusion is one of the worst evils of modern times; entailing as it does the loss of the identity so valuable to most of us: that of having social respect. In Montreal and Lyon, thirty people currently living in a situation of exclusion agreed to be photographed. We chose eight of these photos for eight posters and combined them with phrases. 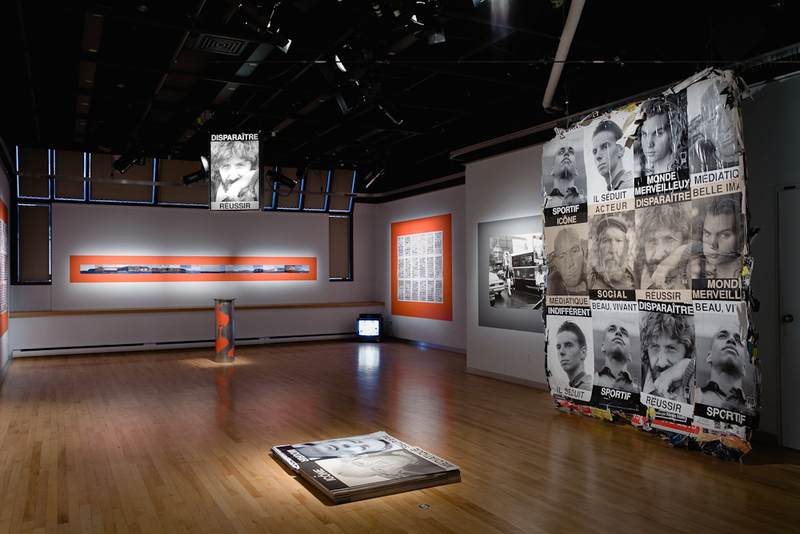 Certainly, it is possible to see Images et propos mobiles as a parody on socially committed art. 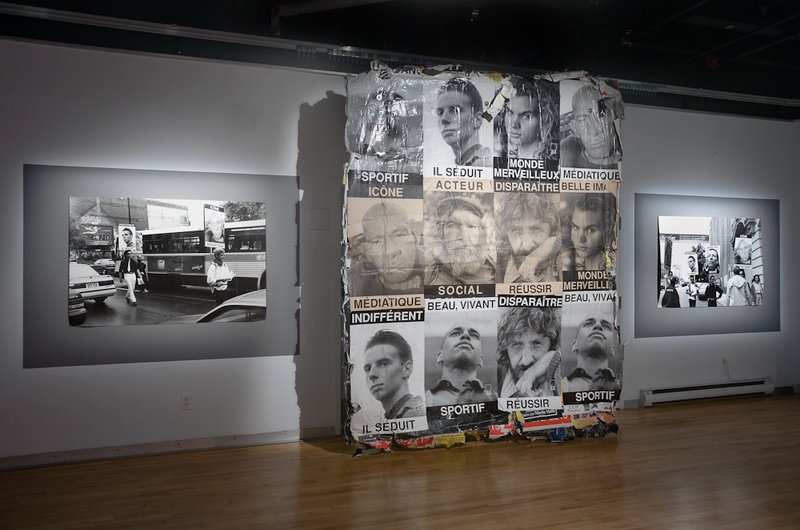 But a lingering ambivalence remains, wavering between the empty ideology of commercial seduction and the noble-mindedness of political art. 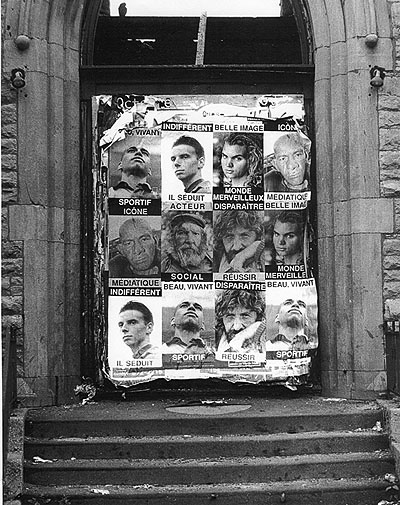 Affichage indépendant dans la rue / Independent display in the street,Montréal, Québec, 1996. 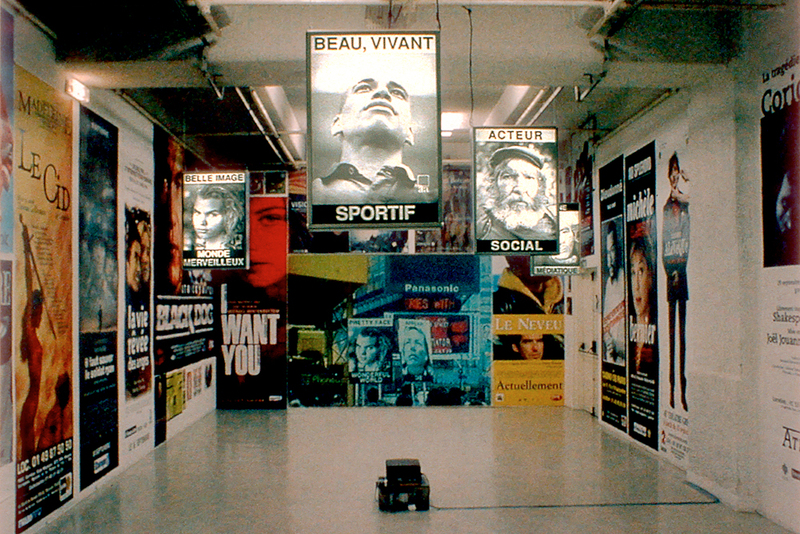 Installation, Crédac, Ivry-sur-Seine, France, 1998. 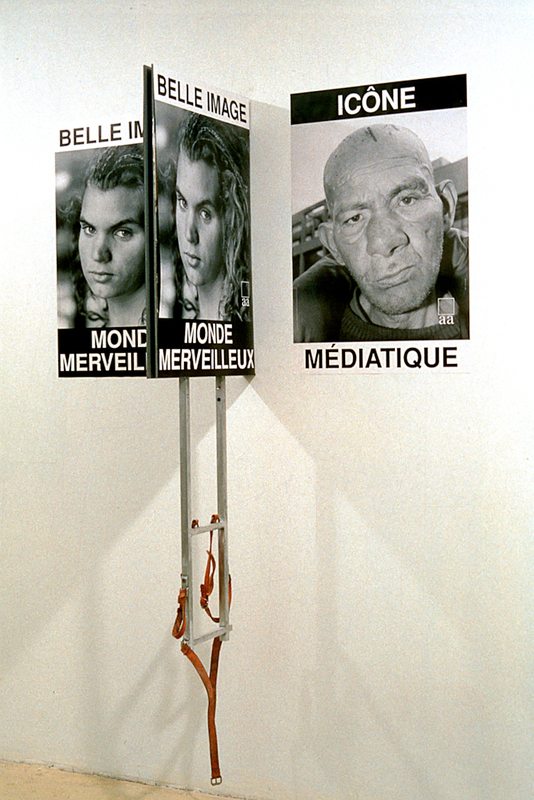 Installation (détail/detail), Quartier Ephémère, Montréal, Québec, 1997.